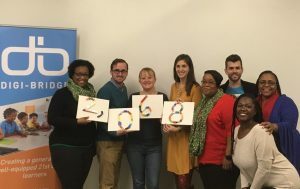 At our summer board meeting, I said “let’s raise $10,000 during our End of Year Giving Campaign,” and the room went silent. This weekend, while snowed in, I sat in front of an Excel spreadsheet, entered the last few check amounts and I started belting out Notorious B.I.G. lyrics (not suitable for mom or dad). The room was still silent, though this time my dogs were looking at me like I had completely lost it. YOU showed up in November and December–committing your time, talent and treasure to our organization. YOU helped us to raise $10,820 in just six short weeks. Some of you served as social media influencers, others donated time stuffing envelopes and many of you shared your personal treasure in support of our efforts to #bridgethedivide.  In March, Digi-Bridge was named a Playing for Others honoree for 2016-17. 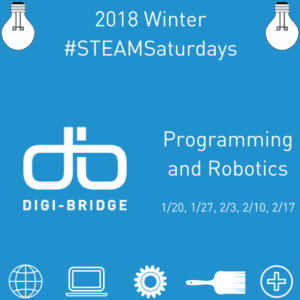 In April, Digi-Bridge took the SEED20 stage. 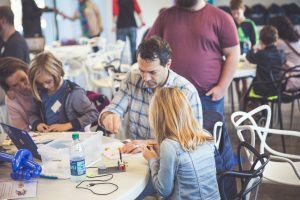 In June, we co-hosted #iMakeCLT at C3 Lab, inspired by a placemaking microgrant from Historic South End and powered by UTC Aerospace. 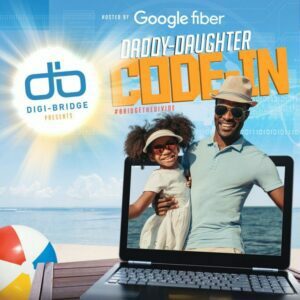 In August, we held our first Daddy Daughter Code-In (#DDCodeIn) at Google Fiber. In September, Digi-Bridge received the largest grant ever gifted by the OrthoCarolina Foundation. 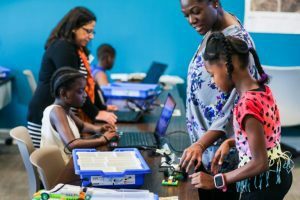 Also in September, Digi-Bridge was honored by the White House Office of Science and Technology for our commitment to Computer Science for All (#CSforAll). 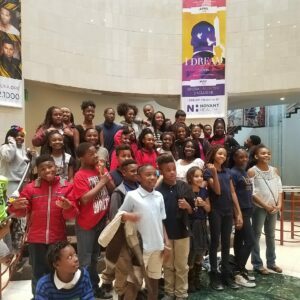 In October, I took the TEDxCharlotte stage sharing an idea for the 21st century learner. In November, we became a Social Venture Partners investee and received gifts from Reemprise Fund and Knight Foundation. 2017 is here and I find myself silent quite frequently. My family and Digi-Bridge staff have all noted this marked change. I’m taking the time to celebrate progress and reflect on the road ahead. We’ve got work to do, but together, I’m absolutely certain we will get it done. Look what YOU did in just a few weeks. Enjoy the silence, it won’t last for long. 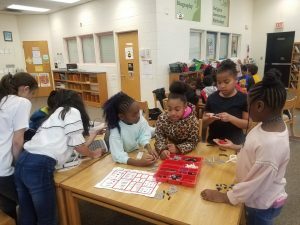 It’s about time for us to accelerate these efforts on behalf of our future scientists, technologists, engineers, artists and mathematicians.